You are due to travel and would like to book parking space, but do not (yet) know your flight details. Luckily, that's not an issue. The arrival time submitted is just an indication, so that the parking providers can plan their staff. Therefore, there will never be a long wait for your shuttle bus transfer to and from the airport. Where can I find my flight details? Quite often arrival- and departure times can be found on the website where you've booked your flight, you will need to know your flight number to check. In addition, your confirmation email will quite often mention the times too. 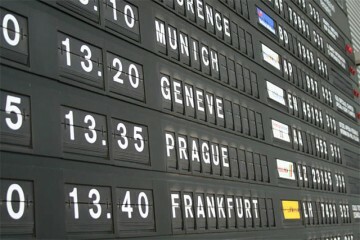 Sometimes, it may be the case that the flight times are not yet known at the time of booking. This is not a problem, as you will be able to submit your flight times at a later stage, by telephone, chat or email. If you would rather not change your reservation online, then you can always contact our customer service department, we will change the times for you and inform the parking provider. Should the arrival and departure dates/times remain unchanged, then you will not incur any addtional costs.